B:C:Clettes 2.0 | We Are The B:C:Clettes! Ride! Inspire! Dance! Engage! We are The B:C:Clettes! 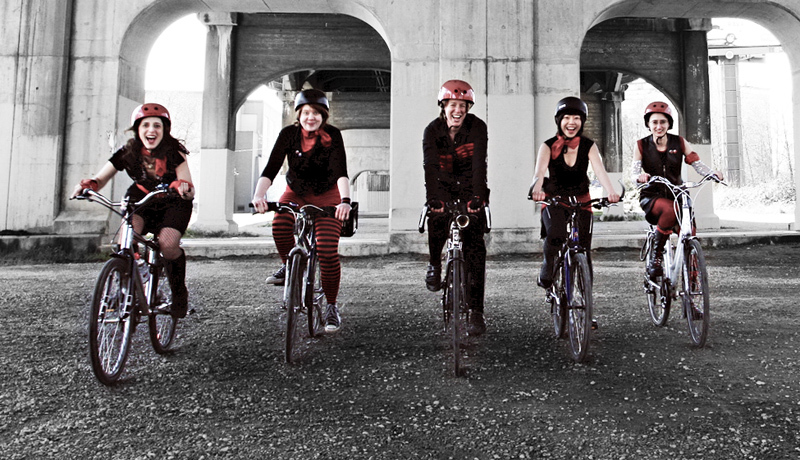 We are a bicycle-inspired performance collective. Community engagers. Strong, creative women. Lovers of street parties and mad dance moves. A community of friendship, support and spectacular fun. We create performances that celebrate bikes and inspire community engagement. April 28th, 2012 – Bike DANCE in Blossoms – video is LIVE, check it out!! !